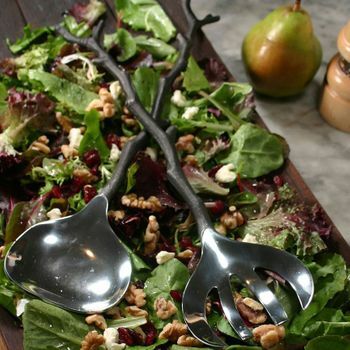 These wonderful salad servers set the tone for simple and elegant entertaining. 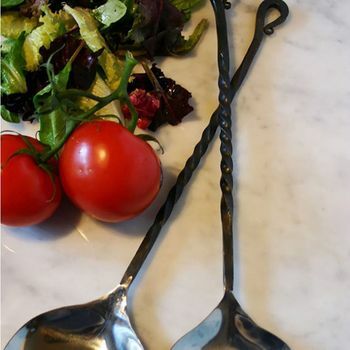 High quality stainless steel is heated, forged and twisted producing this beautiful hand-crafted appearance. Whether used as a set or individually, both fork and spoon will become indispensable for serving. 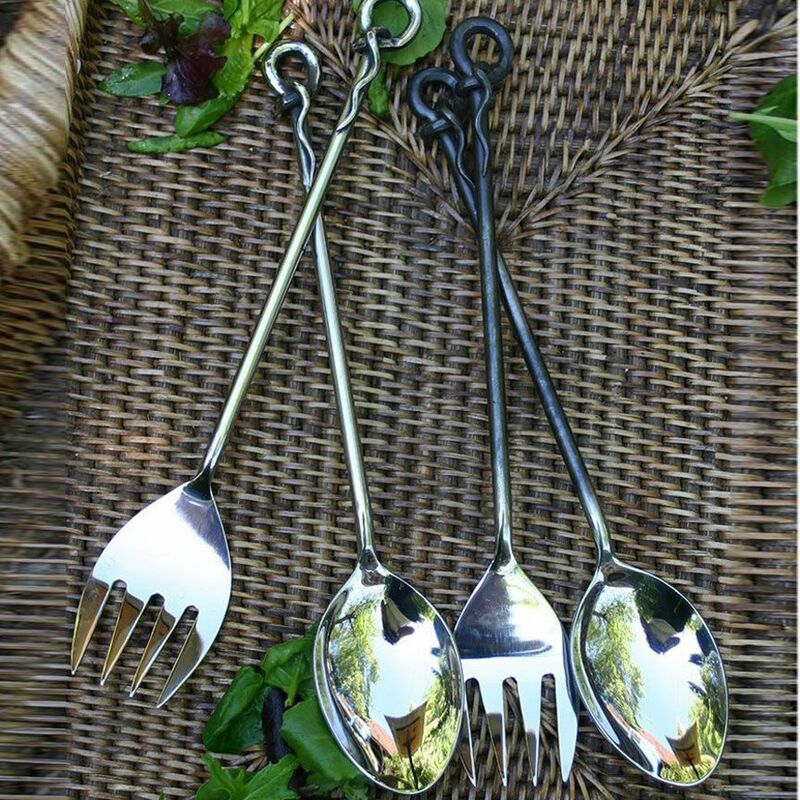 Available with a rustic or polished finish.